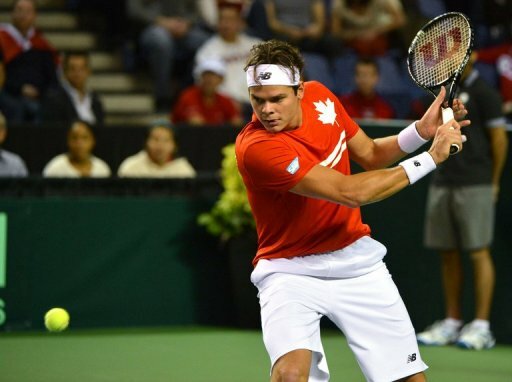 Canada’s Milos Raonic is pictured on February 3, 2013 during a Davis Cup match in Vancouver. He fired 12 aces in beating US third seed Sam Querrey 6-4, 6-2 to reach the final of the $547,000 ATP Tour SAP Open on February 17, 2013. Two-time defending champion Milos Raonic of Canada fired 12 aces in beating US third seed Sam Querrey 6-4, 6-2 to reach the final of the $547,000 ATP Tour SAP Open. The big-serving top seed will try to become the first player since Tony Trabert in 1953-1955 to win the San Jose title three years in a row when he faces German fourth seed Tommy Haas in Sunday’s indoor hardcourt final. Haas, ranked 22nd, defeated US second seed John Isner 6-3, 6-4 in the other semi-final. 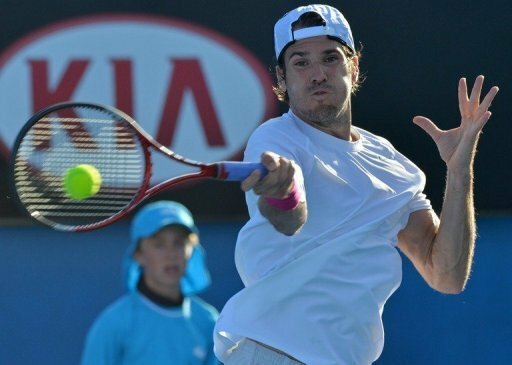 Germany’s Tommy Haas is pictured on January 15, 2013 during an Australian Open match in Melbourne. He advanced to the final of the $547,000 ATP SAP Open with a 6-3, 6-4 triumph over US second seed John Isner on Saturday. Raonic, 22, and Haas, 34, will face each other for the first time in what will be the final match in the history of the event, which will be dropped from the ATP schedule after this year. Querrey had won both prior matches against Raonic, including last year at Wimbledon, but the world number 13 dropped only five points on his serve in Saturday’s match and never faced a breakpoint in overwhelming the American this time. Haas fired eight aces and connected on 75 percent of his first serves while Isner, known for his big serves, had nine aces but connected on only 59 percent of his first serves. Haas lost three of his four prior matches against Isner but they had not faced each other since 2009.